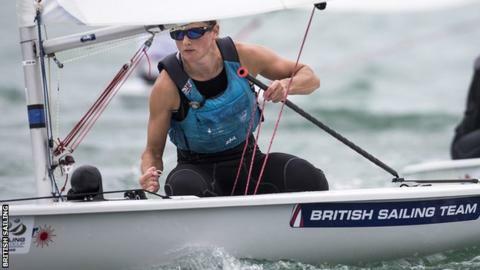 Alison Young has won gold in the Radial class at the Laser World Championships to boost her hopes of Rio 2016 success. Young, 28, won the final race of the regatta to beat the USA's Paige Railey by a single point. It is a first world title for Portland's Young, whose previous best performance was fourth in 2012. "I've sailed pretty consistently," said Young. "It's a great confidence boost [ahead of the Olympics], but there's still plenty of room for improvement." Young, who finished fifth at London 2012, has already been selected for this summer's Games.